If you’re not familar, Box.com is an online file storage service. It’s especially popular with businesses. Until recently, there haven’t been great options to scan to Box. You were more or less limited to “scan to a computer or network, then upload the files in a web browser”. Thankfully, Fujitsu has released its first update to ScanSnap Cloud, and you can now scan directly from a Wi-Fi-enabled ScanSnap to Box. Here are two options for scanning. If you have a ScanSnap iX500 or iX100, you can use ScanSnap Cloud to scan to Box. 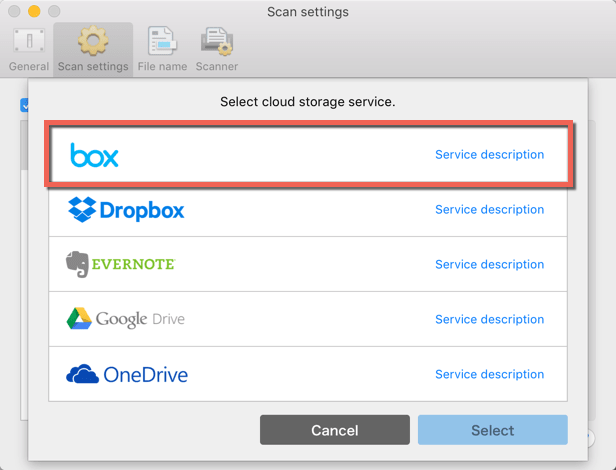 In the ScanSnap Cloud settings (see my ScanSnap Cloud article for more than you’d ever want to know about this) choose Box for the type of document you are scanning. 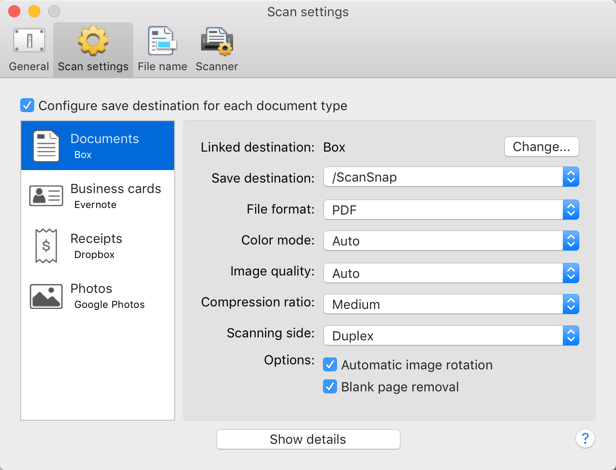 One issue I had: it saves the document in a folder called ScanSnap in Box. It seems like you should be able to change that, but I was not able to. It just brings back a blank list. I assume this is a bug, but for now ScanSnap folder it is. Once I scanned the document, it appears quickly in the ScanSnap folder in Box. If you don’t have a scanner that can use ScanSnap Cloud, all is not lost. You can download the Box Sync application for Mac and Windows. In the Box web interface, choose the folder(s) you want to have synced with your computer. You do this by going to the folder’s settings, then Properties, then choose Sync To Computer. 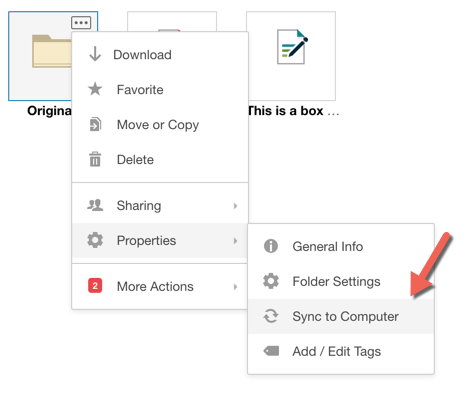 Once you install the Box Sync application on your computer, any files and folders you’ve selected to sync (and anything not in a folder) will be copied to your computer under a Box Sync folder. Conversely, anything you save under that Box Sync folder will be automatically uploaded to Box. This way, you can scan to that Box Sync folder and your documents will uploaded. 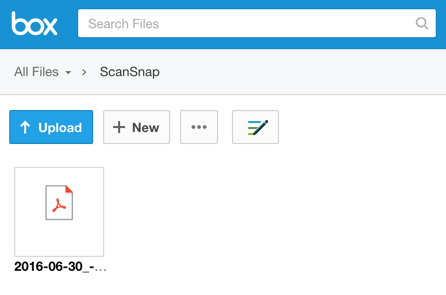 I doubt this would happen, but it’d be nice if ScanSnap Manager had direct Box integration so that you don’t need to go through ScanSnap Cloud or Box Sync. Having ScanSnap Cloud integration is definitely better than what we had before though. Do you have another trick for scanning to Box? Let us know in the comments.